Order Beaverdale Pinot Grigio 6 bottle from the Stirling Homebrew Shop UK. 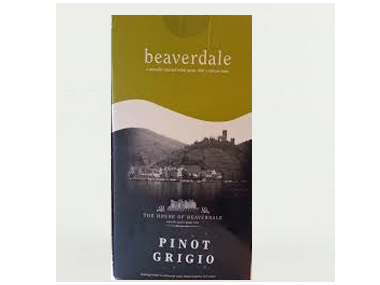 Buy Beaverdale Pinot Grigio - 6 bottle and other Wine Kits safely online in the UK. House of Beaverdale is a pure grape concentrate of such high quality that it allows people to produce fine wines in their own homes. White wine kit. If you want to automatically receive an email when 'Pinot Grigio 6 bottle' is back in stock, just leave your email address below. Where to buy Beaverdale Pinot Grigio 6 bottle safely online? Shop at the Stirling Homebrew Shop if you are wondering where you can buy Beaverdale Pinot Grigio - 6 bottle safely online in the United Kingdom. Pinot Grigio 6 bottle - Beaverdale Pinot Grigio - 6 bottle in Wine Kits and Homebrew.